In the year 200X Megaman find himself locked into battle once again. Dr. Willy claims to have reformed, and works with Dr. Light to build a peace keeping robot named 'Gamma'. However the robots made to help maintain peace go beserk and make off with the eight power crystals. 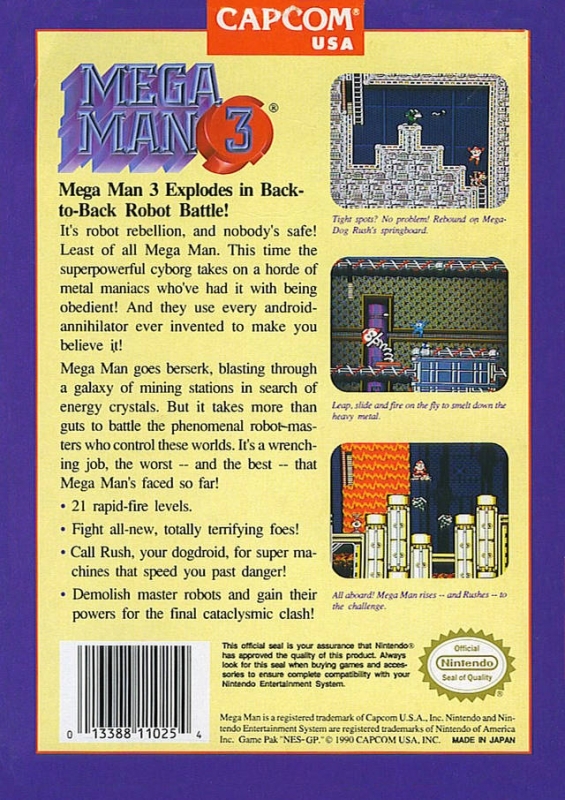 Megaman is called into action once more. One of my favorite in the series. Good balance of fun and challenge. Great graphics for it's time, although the NES suffers from a bit of slowdown when there are too many sprites on the screen. 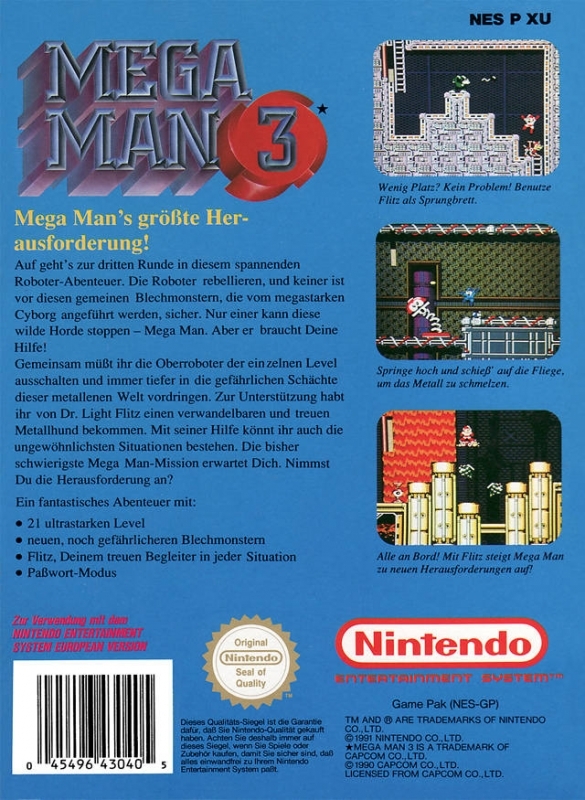 8 levels, 4 shadow levels, then continue to Dr. Wily's Lair for even more fun! Beat clones of all the bosses in MM2, then some minibosses and finally Wily!